James H. Goodnight is celebrating his 73rd Birthday this year. Born on Jan 6, 1943, he revolutionized the world of analytics when he co-founded the business analytics software firm SAS in 1976. Initially, the software was developed to analyze agricultural data, but today its analytics software is used in over 75,000 companies around the world. Ever since it’s inception, Goodnight has steered the company to success and continues to be the CEO till date. A brilliant academic scholar from North Carolina State University, today he is ranked as the 60th most successful businessman in the world by Forbes. His leadership style and the work environment he created at SAS is exemplary. 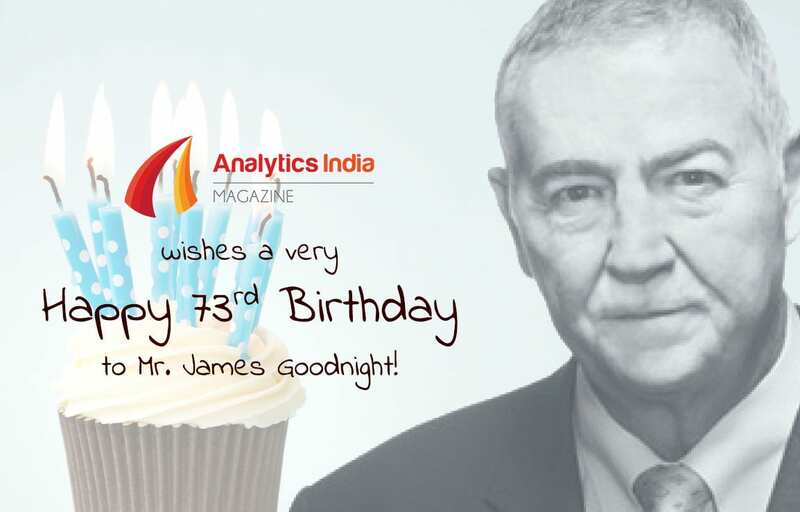 Analytics India Magazine wishes him a very happy birthday and admires him for his contribution to the Analytics Industry.